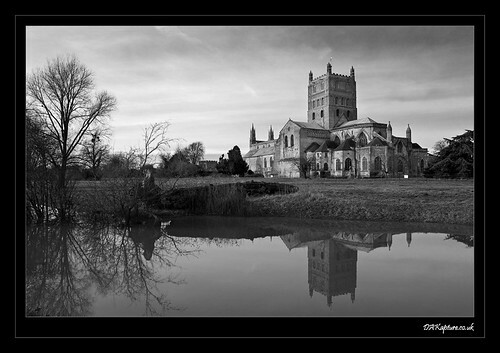 Tewkesbury Abbey and the Dissolution of the Monasteries. My last post featured some wonderful photos of Gloucester Cathedral – and in order to show you some more beautiful pictures I decided to write something about Tewkesbury Abbey. I have visited the Abbey many times, sometimes having a picnic in the grounds, before going in for Evensong. I have also performed there as a member of Birmingham Festival Choral Society. Unlike Fountains Abbey and Rievaulx Abbey, which are now spectacular ruins, Tewkesbury is all in one piece. Henry VIII was not the first monarch to dissolve a monastery in the British Isles. Land had been confiscated by the crown throughout the Middle Ages from ‘Alien Priories’ – mostly owned by French religious orders. Some of these were solely agricultural estates with a single monk living there on his own to manage the place. England and France were at war, on and off, through much of this time – and various English kings wanted to stop money being siphoned off to France. The Dissolution of the Monasteries took place between 1536 and 1541. Henry VIII disbanded all monasteries, nunneries and friaries in England, Wales and Ireland and disposed of their assets. The Act of Supremacy, passed in 1534, made Henry Supreme Head of the Church in England. From this point on all ecclesiastical charges and levies that had previously been payable to the Pope in Rome would now go to the King. In 1534 Henry had Parliament instruct Thomas Cromwell, to visit all religious houses, ostensibly to make sure their members were instructed in the new rules for their supervision by the King instead of the Pope. At the same time Cromwell was to undertake an inventory of the assets of all church estates in England and Wales. Cromwell and his assistants were also charged with inspecting the quality of the religious life of the monks and nuns. They were to assess the prevalence of ‘superstitious’ religious observances (such as the veneration of relics), and they were to seek out evidence of moral – especially sexual wrongdoing. 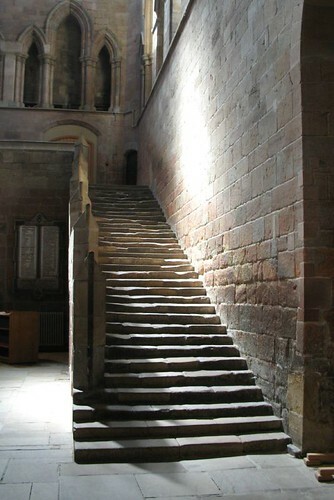 Two houses, Norton Priory in Cheshire, and Hexham Abbey in Northumberland, attempted to resist the commissioners by force. Henry, who viewed this as treason, wrote personally to demand the brutal punishment of those who offered resistance. The prior and canons of Norton were imprisoned for several months, and were fortunate to escape with their lives. The monks of Hexham were executed. Henry believed it was just to punish traitors and seize their assets for the Crown. Those members of religious houses who co-operated were given the option of secularization – with a cash gratuity but no pension – or of transfer to a continuing larger house of the same order. The majority chose to remain in the religious life. 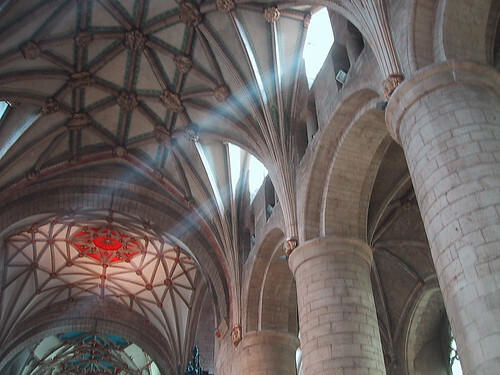 The people of Tewkesbury saved their abbey from destruction in 1539 insisting it was their parish church. They bought it from Henry VIII for the value of its bells and lead roof which would have been salvaged and melted down, leaving the structure a roofless ruin. The price came to £453. The bells were housed in their own free-standing bell tower, an unusual feature in English abbeys. After the Dissolution, the bell-tower was used as the jail until it was demolished in the late 18th century. 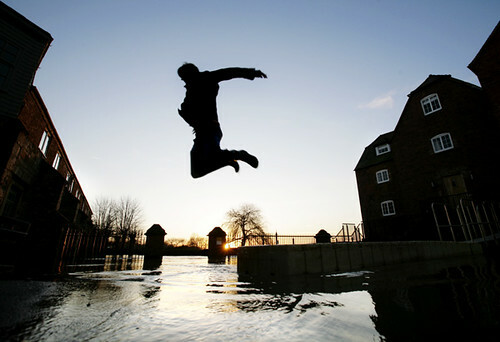 Tewkesbury Abbey hit the headlines on 23 July 2007 when the River Severn burst it banks and flooded the town. The abbey can be seen completely surrounded by flood water. Once a year at the end of August it is possible to go back in time to experience the pre-reformation life of the abbey on Brother Ben’s Day. Forty children (8 – 13 years) come and dress in habits and spend the day as a Benedictine monk. They can try their hand at calligraphy, cooking, working with herbs and learning about monastic life. There are also two short services which are said to be very moving.